Accelerate sales faster than ever. With Send & Track™ for Google Chrome sales reps can insert email templates, nurture prospects through the sales cycle, insert top performing marketing content (like data sheets, case studies, whitepapers, etc. ), and add Prospects to lists (newsletters, etc.) all from within the Google experience. Your sales team with be more productive than ever through the use of automation and resource sharing. Reps will get more visibility into what happens after they send their email. After emails are delivered, Lead Liaison continues building rich profiles of your Prospects as they interact with your company’s online and offline marketing. Easily insert and find the best performing marketing content. Insert email marketing and nurturing templates directly into your compose window. Add Prospects directly into Lists from your compose window. Know when the recipient engages with your email and what they do on your website. Easily nurture leads through the workflow, shorten sales cycles and increase deal sizes. Score Prospects as they engage with your 1:1 email. Sell Faster! Without Leaving Google. 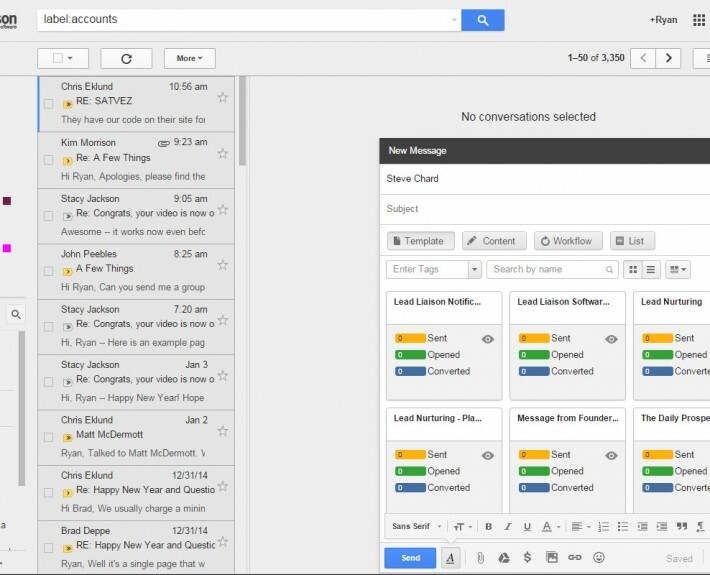 Add Prospects to intelligent nurturing Workflows without leaving Google Apps for Work. 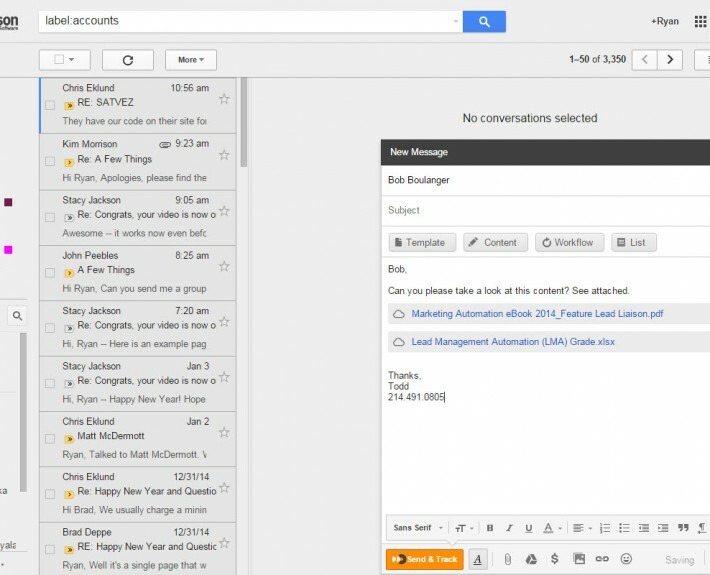 Create Workflows within Lead Liaison and easily access them right from within the email compose window. Lead Liaison helps you use the most effective Workflows by keeping stats on which Workflows convert the highest number of Prospects. “Prep your Rep”, and get ready for hyper-efficient sales engagement. 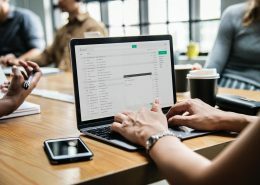 Unparalleled one-to-one email and sales automation techniques that give you the upper hand and accelerates sales. Turn sales people into super heroes with technology that helps reps scale their sales efforts using automation. Technology that helps sales people add top performing content to their emails to convert more Prospects. Want More Juicy Stuff on Email Marketing?